Origins is a cosmetics brand from the US, founded in 1990. Their mission is to create high-performance natural skincare that is powered by nature and proven by science. They use potent plants, organic ingredients and 100% natural essential oils. And their long-standing commitment to protect the planet, its resources and all those who populate it is reaffirmed by their earth and animal friendly practices, packaging and policies. We created x4 paper sets for ASOS’ website and social media to introduce Origins to the ASOS customer. 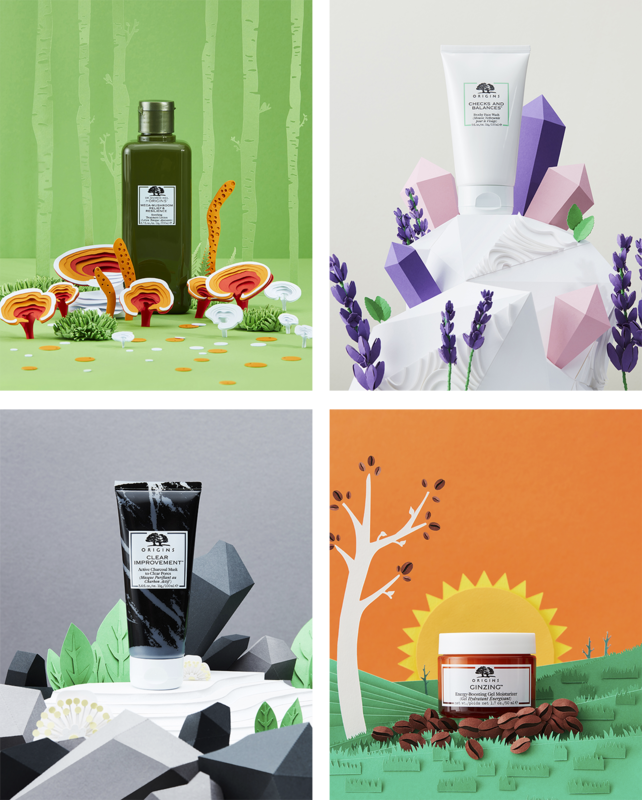 ASOS wanted to inform their 20-something audience of the natural ingredients used in Origins products and demonstrate that environmentally conscious, high-performing skincare doesn’t have to be serious, intimidating or costly.